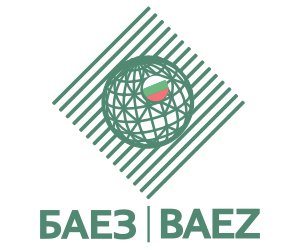 The Ministry of Economy, through the Bulgarian Export Insurance Agency (BAEZ), launches a new insurance product to encourage the export of newly established companies, small and medium-sized enterprises with export orientation, it is clear from the website of the economic department. Taking into account the specific capabilities and needs of small and medium-sized enterprises in their initial steps in the realization of their foreign trade transactions, BAEZ provides insurance protection against the risk of non-payment by their partners in the international markets at advantageous parameters determined specifically for them. The new export-insurance product can provide both the commercial and political risks of export transactions. Among the main advantages of the insurance for companies are the simplified and accelerated application procedure, as well as preferential financial terms – special advantageous tariffs, exemption from the study fee for the first five partners and 50% discount of the fee for all others. In addition, the exporting company receives from BEEA information on the financial status and payment morale of its foreign partner as well as a recommendation on the amount of deferred payment delivery to it, the report said. Exporters can use the BAEZ insurance policy as collateral for obtaining working capital from the commercial bank servicing them. By insuring the payments with the new product, exporters can increase the volume of their business, while being protected against the financial risks accompanying foreign trade transactions. The new product will guarantee Bulgarian exporters an insurance coverage of their receivables in foreign trade transactions, providing them with financial stability and increasing their competitiveness and efficiency, the press office of the Ministry of Economy added. Contacts: 02 923 69 11 or office@baez.bg.